Is your puppy brimming with energy and love? Do you want to help bring smiles to people’s faces? Are you curious about what you have to do to get your puppy certified as a therapy dog? Training a therapy dog is no small feat. It requires a puppy to be constantly socialized with other dogs, new people, odd smells, and sounds. Also, it requires obedience training so as your dog will not be a danger to others or people. If you think you’re ready, and you want to help people, follow the steps below as provided by the American Kennel Club. First, make sure your puppy is socialized. It does not matter what kind of dog you have, as they all have therapy dog potential. Make sure it is comfortable in new situations. For example, young children tend to be loud and excitable, especially when a dog is introduced. If your dog is afraid or aggressive, they will not make a good therapy dog. 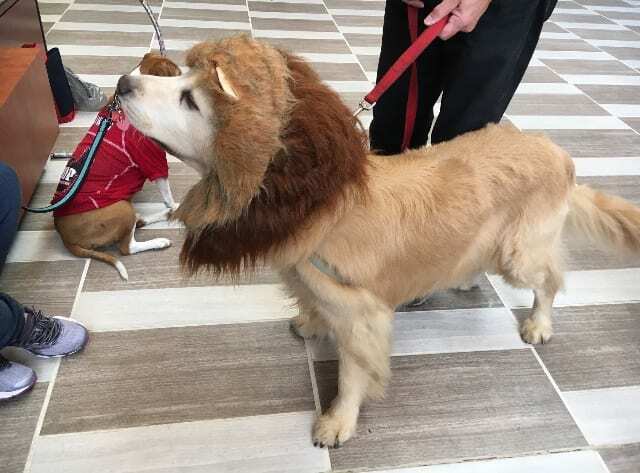 Second, you will need to obtain the AKC Canine Good Citizen title. You will need to train your dog in behaviors such as not jumping on people, and being obedient enough to stay with you when not on a leash. If your dog ran off and began jumping on strangers, that would not be good. Enrolling your dog in classes for this is a good idea. Try searching for some around your area. 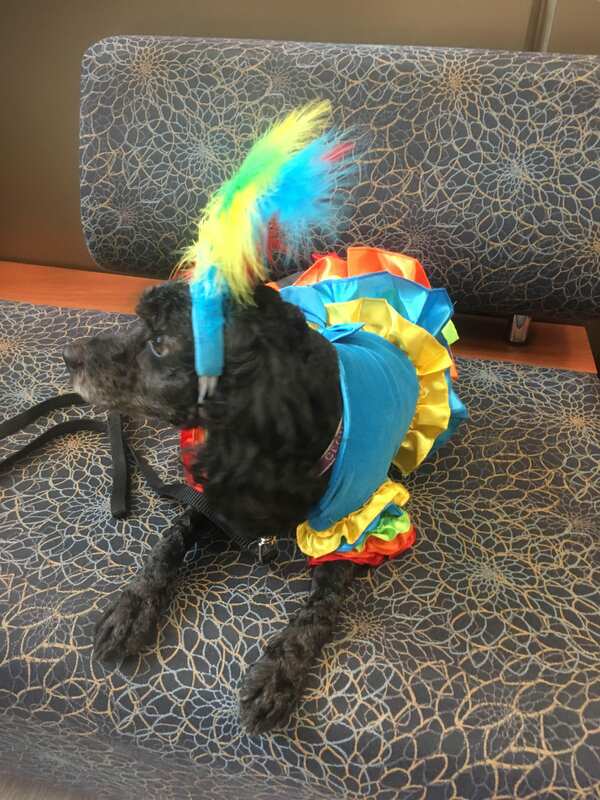 You will need to enroll your dog classes specific to therapy dogs as well that will prepare both you and your dog for potential situations and how to handle them. Most classes will include an evaluation at the end. Lastly, register with a national therapy dog organization. This will help provide support, advice, and insurance. Search for organizations near you. A lot of work goes into making your puppy a certified therapy dog. If you’re willing to put in the work into training your dog, you can both have a future together visiting schools, nursing homes, hospitals, and children and leaving them feeling fulfilled. Here’s where I found my information if you have any more questions. What do you think is most difficult thing about raising a therapy dog? The most rewarding? 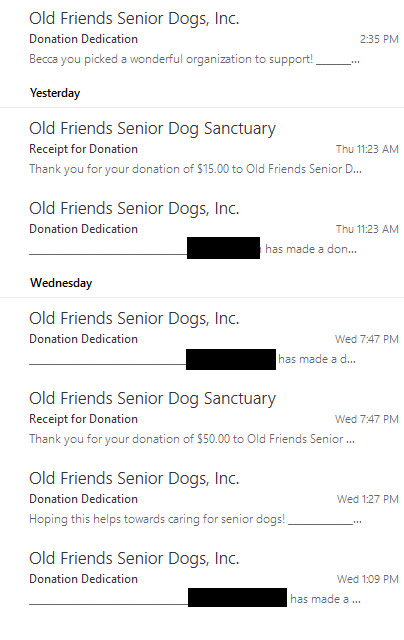 So far, we have raised $95 for Old Friends Senior Dog Sanctuary! Thank you to everyone who has donated and to anyone who will donate in the future! A sleepy Clover takes a break! The professors in Sociology love Clover! Bam Bam was a ferocious lion who loved to get snuggles! Piper was a stylish little devil. Parrot Clover sure was colorful! Want to make a donation, but can’t attend the event? Did you attend the event but didn’t receive a donation postcard? Have no fear! Donating is easy! 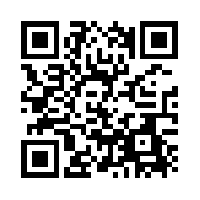 Below is a QR code that will take you to the official Old Friends donation page. The code is not necessary, as the webpage can easily be Googled. For ease, you can scan the code below by opening your camera and pointing it at the code. A link should appear, which you can tap and follow to their page. Put in your information. At the bottom will be the option to dedicate your donation in memory or in honor of someone. Please select “In honor of” and type in IUP for Old Friends. In the email section for the dedication, type in TFYV@iup.edu so I will be able to see how many donations are made! Thank you for your support of Old Friends Senior Dog Sanctuary! The official commercial for IUP for Old Friends has been uploaded to YouTube. Click here to watch it! Don’t forgot to leave a like and a comment if you’re excited to see us this Wednesday, Oct. 31st. A huge thank you for some of our fans, Amelia Stevens and Kendra Smith, for sharing their excitement for IUP for Old Friends! Feeling Stressed? A Therapy Dog Can Help You! It’s no secret that college is a stressful time for students: homework, exams, projects, group presentations! If these words scare you, you’re not alone. The Anxiety and Depression Association of America reports that anxiety disorders are one of the most common mental health problems on college campuses. Of course, there is no substitute for getting professional help, but what if you’re only experiencing some seasonal anxiety? 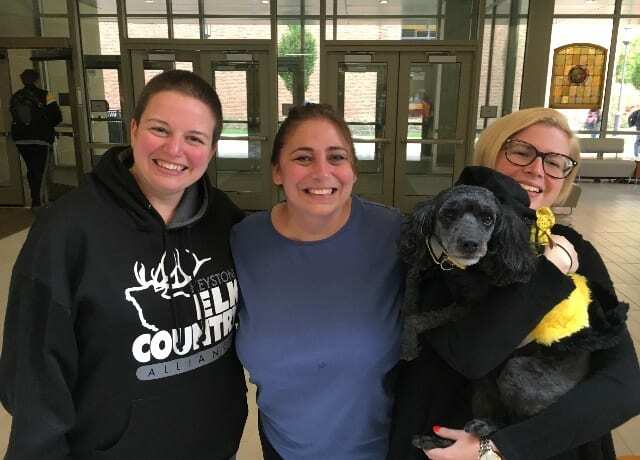 Interacting with therapy dogs is a proven way to reduce anxiety, stress, and feelings of loneliness by causing a reduction in the stress hormone cortisol. 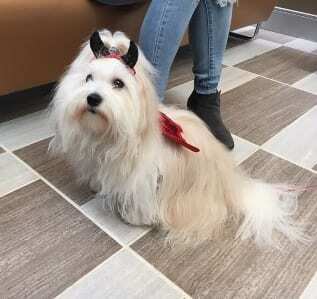 So take a well-deserved break if you’re feeling overwhelmed and know that visiting the campus therapy dogs can help you calm down! Old Friends Senior Dog Sanctuary- a name you might have heard if you are a fan of dogs! But what really is it? Old Friends is an animal shelter based in Mount Juliet, Tennessee that specializes in giving senior dogs a home and the care that they need. They do not concern themselves with the quantity of time that the dogs have left, rather the quality of the life they can provide them for that time. They house approximately 100-120 dogs at the sanctuary, while supporting almost 200 others in temporary and Forever Foster Homes. Old Friends strives to raise awareness of the joys and challenges of living with older dogs. Senior dogs face a much greater chance of euthanasia than younger dogs because it is difficult to find adopters for them due to their shorter additional life expectancy and unknown veterinary costs. However, senior dogs make wonderful additions to families due to being mature, calm, and loving! Old Friends strives to have their dogs live out their retirement years as a beloved member of a family. They believe that a dog’s personality just gets sweeter with time, and that even though their dogs are growing old they certainly aren’t growing up. Read more on their official website and attend our event on Oct 31st to pick up a brochure and share your support! Check out our article in today’s issue of The Beak! 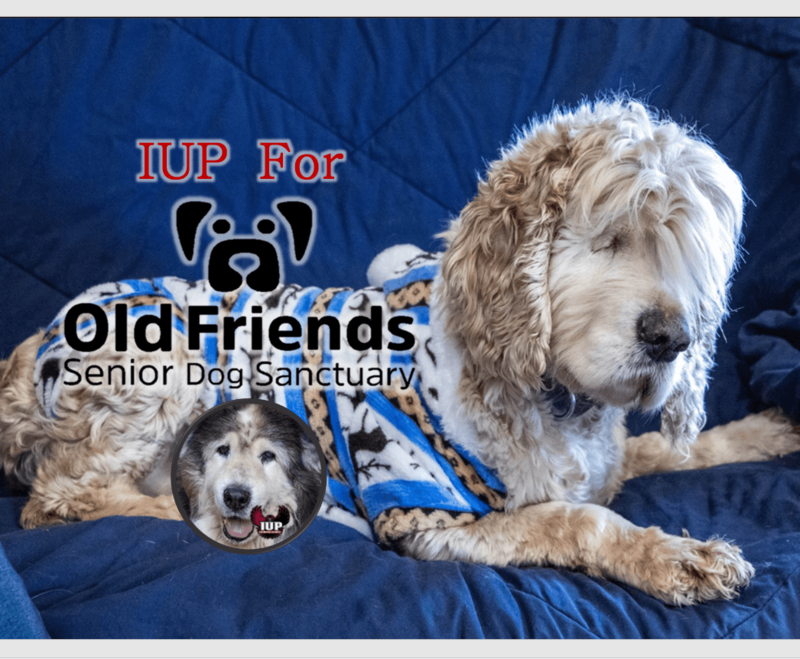 Welcome to the official blog of IUP for Old Friends, a student run charitable campaign aiming to raise money for Old Friends Senior Dog Sanctuary. 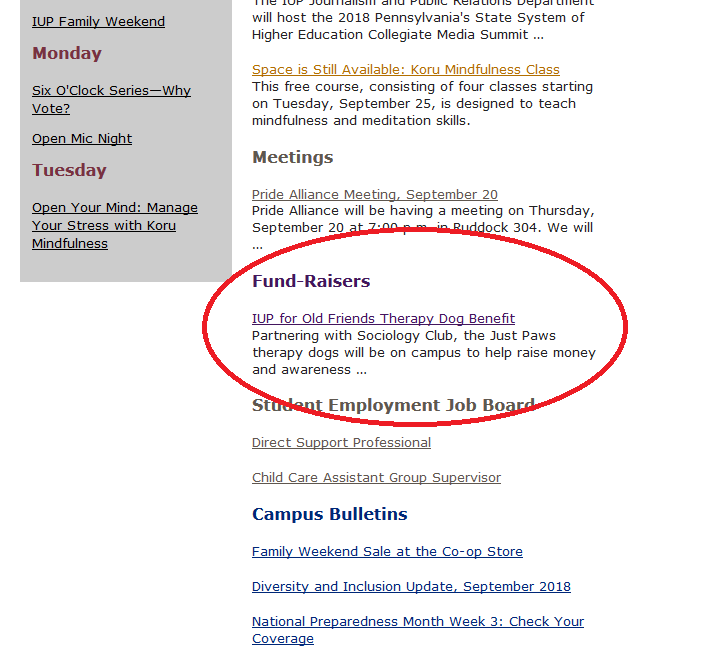 I am partnering with IUP Sociology club and Just Paws therapy dogs to bring you a brief sigh of relief during your busy day. On Wednesday, October 31st (Yes, Halloween! 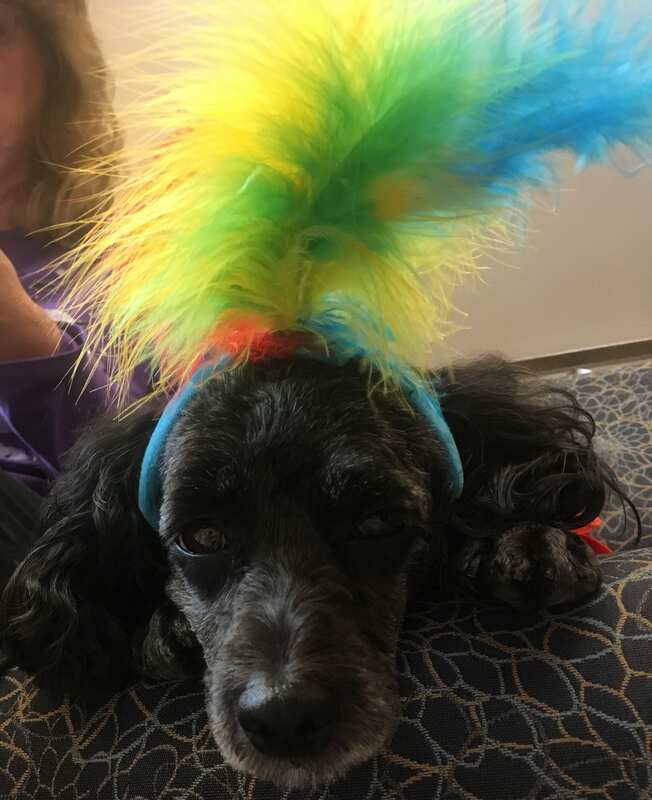 ), from 12:30PM-2PM in the first floor lobby of the Humanities and Social Sciences building (behind the library) the Just Paws therapy dogs will be making an appearance. This is free of charge and open to anyone who wants to come- and some of the dogs will be dressed in costumes for the occasion. Although, as stated, this is free of charge, we are encouraging everyone who comes to visit to leave a donation to Old Friends Senior Dog Sanctuary. OFSDS is a registered charitable organization based in Tennessee who strives to give elderly dogs a comfortable and loving place to live out the remainder of their days. With over 100 dogs on their premise, all needing to eat, live in a clean environment, and have the occasional surgery (as elder dogs do) Old Friends needs your help. Cash donations and PayPal donations would be greatly appreciated. Also, if you prefer to know exactly where your money is going, Old Friends has an Amazon wish list I will be handing out URL’s for. 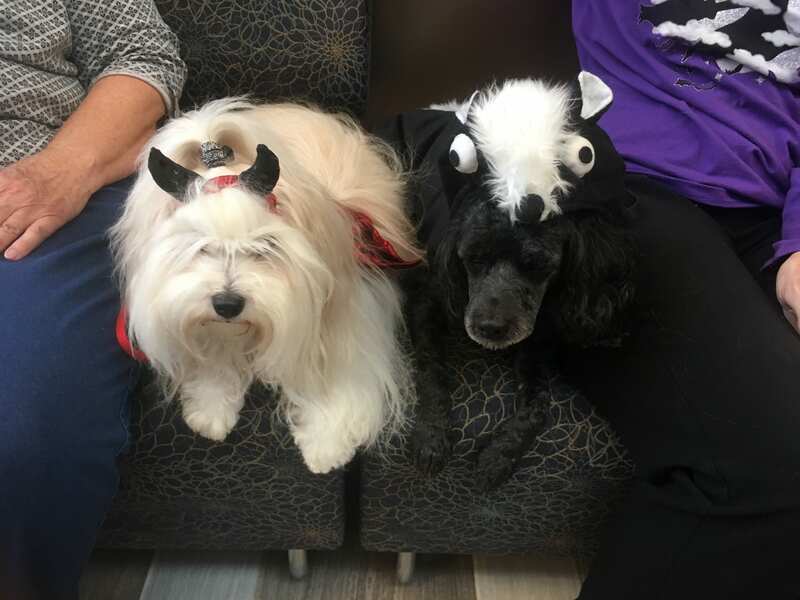 Be sure to tell your friends that you know where to go when you need a break, and that there will be dogs in costumes waiting for you, as well as elderly dogs hoping you can help them.